In a very special 100th episode, Chris and Ruthie begin the show with a discussion on the very mascot of this podcast, Jiminy Cricket, discussing his origins, history and storied career as a staple Disney character, including lots of memorable music and fun facts. 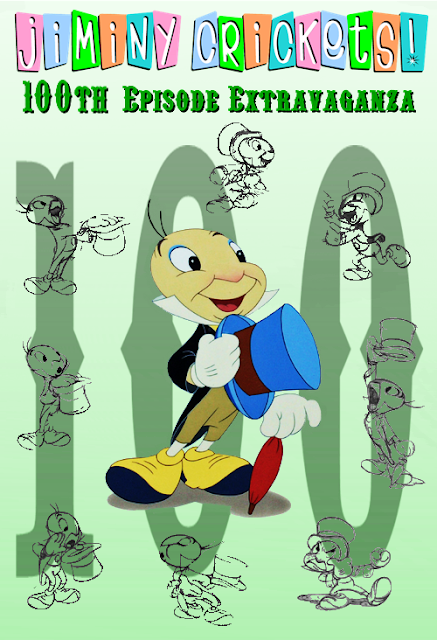 For the second half of the show, Chris and Ruthie welcome back Will and Wendell of the Sideshow Radio Network to reflect on the past 100 episodes of the Jiminy Crickets Podcast, recalling the history of the show, and sharing their favorite episodes. There may also be a few unexpected surprises in store! Hey Chris. Congratulations on your 100th! Have loved the program since its inception and always look forward to what you've got up your sleeve (it must pretty long by now :)). Keep up the great work - as you always do - and stay healthy, we definitely need more from where this came from. Peace.